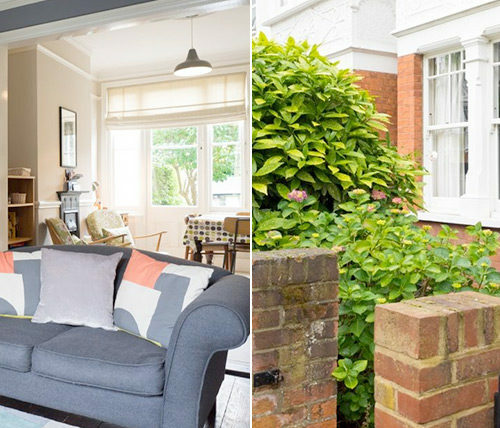 This beautiful four bedroom period house in Ealing, West London has recently been renovated and stylishly furnished to an extremely high standard in a contemporary mix of antique/vintage and designer modern. 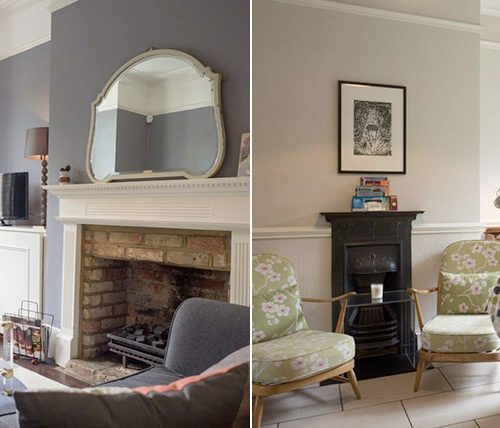 It has many original features including stripped wooden flooring, cornices and fireplaces. Northfields underground station is just a couple of minutes walk around the corner from the house and the Piccadilly line takes just 20 minutes in one direction to Heathrow Airport and 25 minutes in the other direction to Harrods in Knightsbridge. Junction 2 of the M4 motorway is only 2.2km away and the A40 main road only 4.3km away. 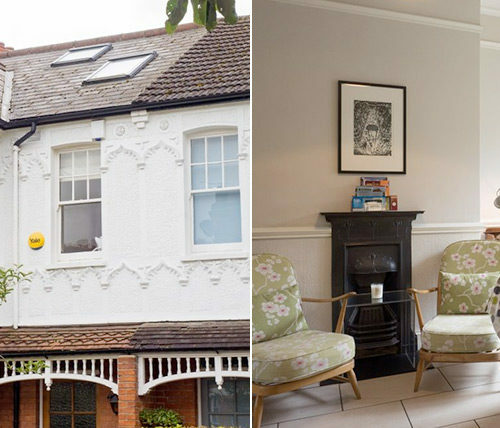 The Windermere House is perfectly situated in a quiet tree lined residential street in leafy South Ealing, right next to Lammas Park where one can enjoy walks or take the children to the play ground. Once inside the house the hallway leads to the inviting and comfortable sitting room with two sofas, fireplace and digital TV with multi-channels and built-in DVD player. Through an arch way to the spacious open plan kitchen/diner with fireplace and antique dining table accommodating up six people (up to eight people when the table is extended. There are two easy chairs here to sit and enjoy the view of the sunny south facing rear garden. 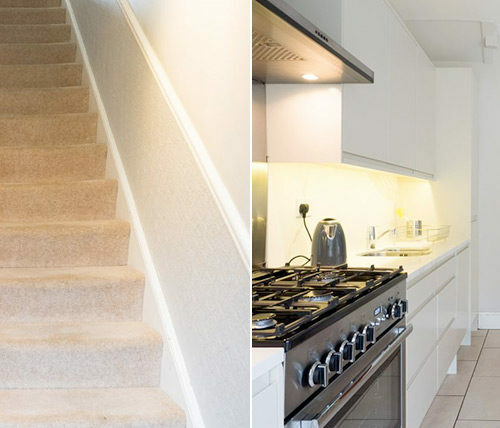 The very large and very well equipped modern kitchen and family dining area has an American style fridge/freezer with cold water and ice on demand and all the appliances you would expect to find in a first class holiday home. 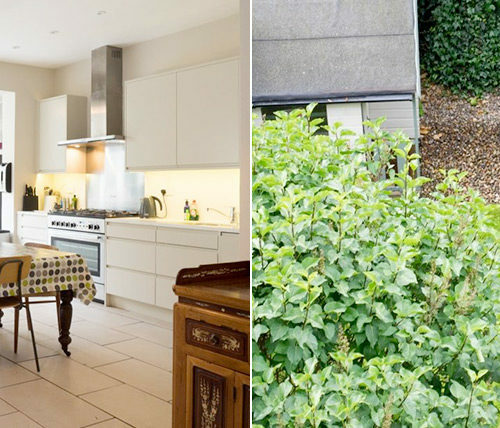 French doors from both the dining area and kitchen lead to the pretty rear garden. For added convenience there is also a downstairs WC tucked neatly under the stairs. On the first floor and overlooking the front of the house is the large master bedroom featuring a contemporary button back king size bed and built-in wardrobe space, original tiled fireplace and an antique mahogany chest of drawers and mirror. The main bathroom has a bath tub, basin and WC and is tiled in white and black accents. 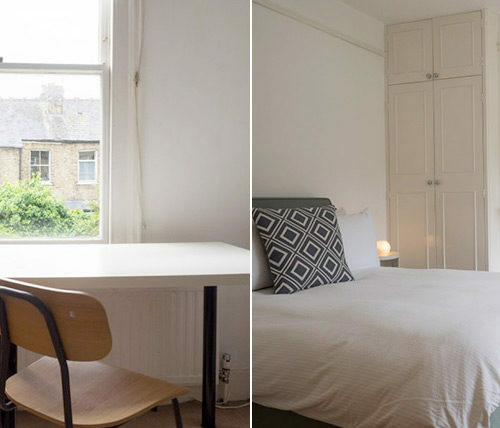 Next to the bathroom is the second double bedroom which is a lovely peaceful room overlooking the back garden and offers a double bed, closet and chest of drawers. 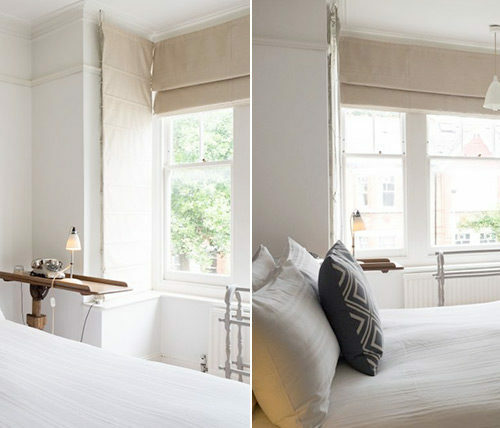 In addition there is a sweet little single bedroom at the front of the house with an antique Victorian bed. 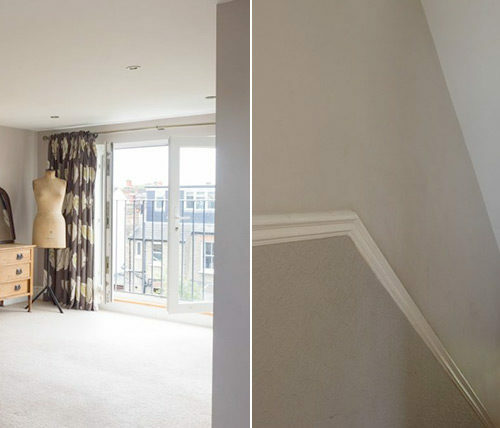 The second floor has recently been converted and furnished again to a very high standard for the use as a large double bedroom or extra sitting/living room space. There is a new and very comfortable sofabed in which to relax and watch the flat screen TV or enjoy views overlooking roof tops and the garden. 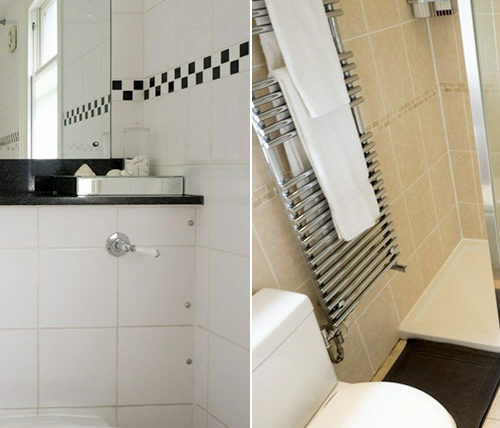 There is a contemporary en-suite bathroom with fabulous walk-in shower, basin and WC. 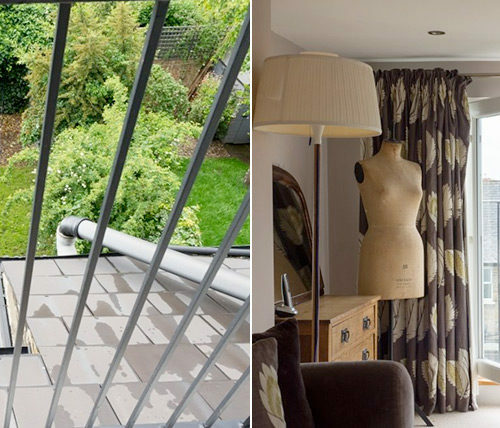 The Windermere House is ideally situated for easy access to all of London’s attractions and Ealing Broadway with its many shops and restaurants is just a short walk through Lammas and Walpole parks or a five minute bus ride away. There is an excellent range of shopping in the local Northfields, West Ealing and South Ealing area for fresh fruit and vegetables, meat and fish. There is also a terrific bakery, great butchers and a variety of cafes, restaurants, wine bars and pubs within walking distance. Rates include all utilities and wireless internet access but excludes a £80.00 end of stay cleaning charge. A weekly cleaning service can be provided at £60.00. Telephone calls are extra and are charged at 20 pence per unit. Parking is restricted due to the street being located in a controlled zone area and restrictions apply between the hours of 9am –10am and 3.00pm – 4.00 pm Monday to Saturday inclusive. Parking outside of these hours is permitted and free of charge.